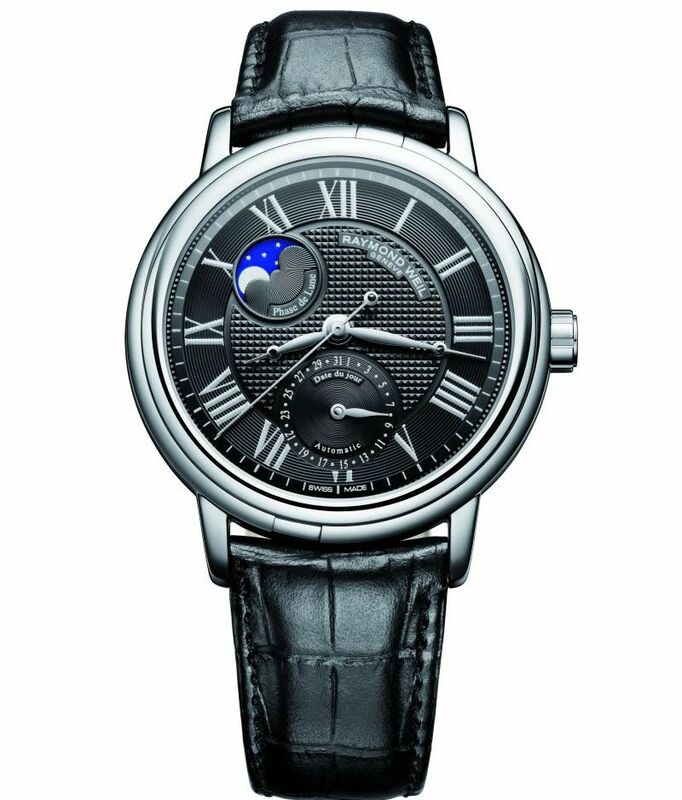 The maestro Moon Phase is the latest addition to the RAYMOND WEIL’s maestro collection created in 2010. This new RAYMOND WEIL model is the Brand’s first moon phase complication with a mechanical movement. “Maestro” is Italian for the master who has reached the highest point in his artistic abilities. The most celebrated of all, Leonardo da Vinci, created the Vitruvian Man, whose perfect proportions illustrated the famous golden number. Thus with its new timekeeper, RAYMOND WEIL once again demonstrates that tradition and creativity go hand in hand in a sublime quintessence. Equipped with a round 39.5mm case, a date counter harmoniously positioned at 6 o’clock and a moon phase indicator at 10.30 .The RW4500 mechanical movement with automatic winding in the maestro Moon Phase has power reserve of 38 hours.